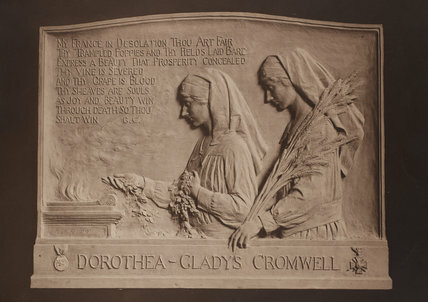 “Gladys and Dorothea Cromwell were so essentially one that any account of either must include the other…. They were born in November, 1885, and inherited possessions, talents, and an exquisite beauty strangely poignant because in the twin sisters the charm seemed more than doubled…. They found their home in the unseen. In the outer, material world, they existed only by an effort that cost them much, for they moved as spirits, untouched by crude desires; bending with a shy longing to meet human needs; searching for some solution that should justify their personal immunities, their money, and the grace and luxury to which they had been born. A delicate humility made them feel debtors to life…. 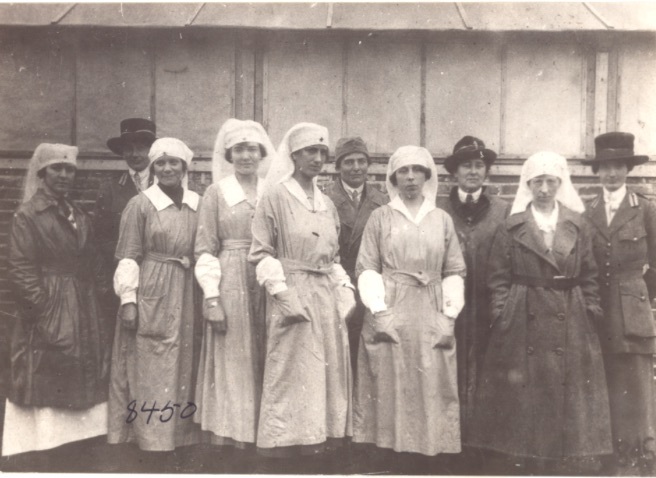 In January, 1918, the two sisters, having enrolled in the Canteen Service of the Red Cross, sailed for France and were stationed at Chalons. For eight months they worked under fire on long day or night shifts; their free time was filled with volunteer outside service; they slept in ‘caves’ or under trees in a field; they suffered from the exhaustion that is so acute to those who have never known physical labour; yet no one suspected until the end came that for many months they had believed their work a failure, and their efforts futile. The Chalonais called them “The Saints”; during dull evenings, the poilus, who adored the “Twin Angels,” found amusement in effort, always unsuccessful, to distinguish them apart. 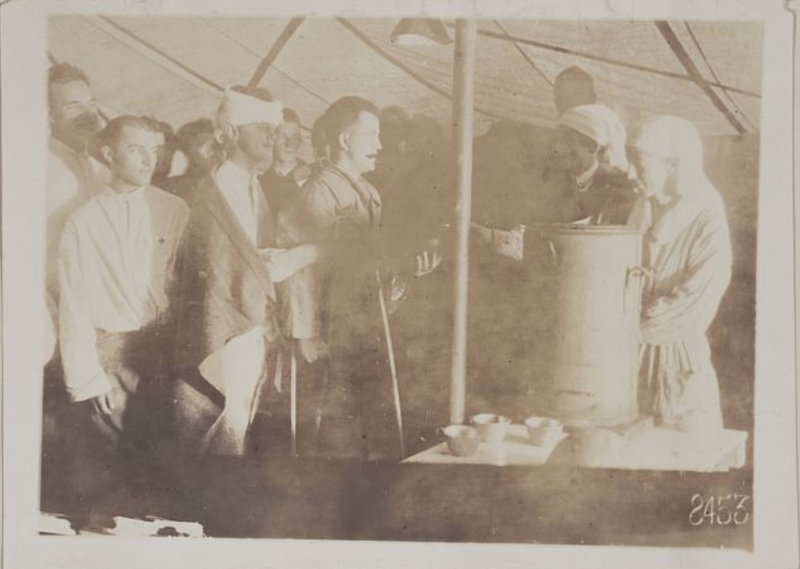 The workers in the Canteen loved and admired them for their courage—that finest bravery which leads fear to intrepid action; they loved them for their rare charm, but they gave them whole-souled appreciation for the tireless, efficient labor which made them invaluable as practical canteeners. 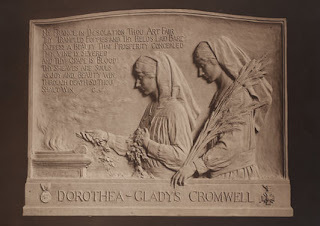 Gladys Cromwell’s poem “The Extra” describes the burden of living in a world wrecked by war. The poem’s title is ambiguous; it may refer to the outsider status of women in war zones, to the ever-present reality of war, or perhaps to a woman estranged from herself after witnessing the horrors of war. Sheltered and safe we sit. In the dark. A log I turn. Of skirts; — then a closing door. All fear, in knowing Love. Are we awake or dreaming? On the hearth, the ashes are gleaming. It’s all a joke, a poor one, too. Or else I’m mad! This can’t be true? I light the lamp to lift the gloom. My world’s too good for such a doom. I’ll die sooner than have it so! 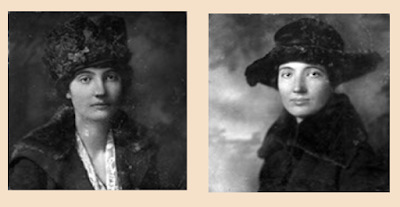 * Harriet Monroe, “A Gold Star for Gladys Cromwell,” Poetry, vol. 13, no. 6, Mar. 1919, pp. 326-327. ** Anne Dunn, “Biographical Note” from Gladys Cromwell’s Poems, Macmillan, 1919, pp. 113-118. † “Brings Story of Cromwell Tragedy,” New York Times, 29 Jan. 1919, p. 1. Thanks for reading, Ian. I'd like to ask you a few questions about sources you've posted to Lives of the First World War (IWM) -- can you message me either on email listed at the blog or on twitter (@wherrypilgrim)?